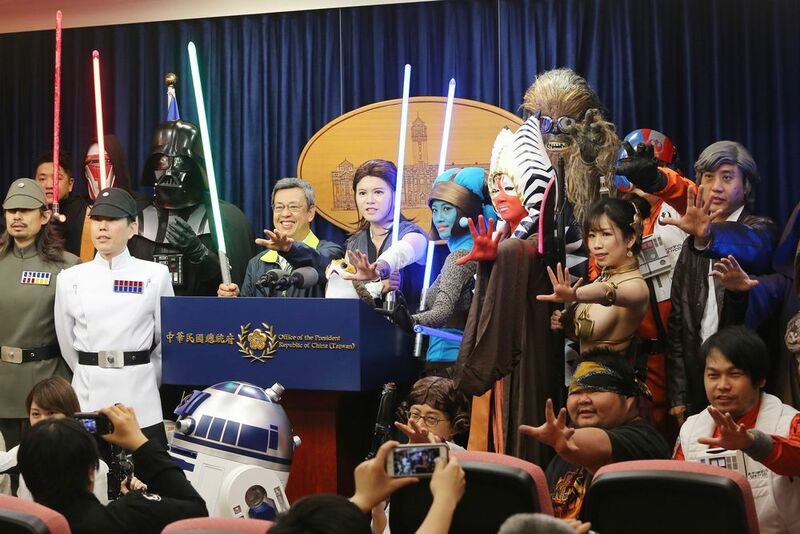 More than 100 Star Wars enthusiasts dressed up as characters from the film series' galactic history were invited to the Presidential Office on May 4 for a tour of the building and were welcomed by Vice President Chen Chien-jen (陳建仁). Chen (center), accompanied by Darth Vader (left) and Chewbacca (right), speaks to various characters hailing from across the Galactic universe. Chen (back row, fourth left) takes a group photo with Star Wars characters while exhibiting the Force, a metaphysical and ubiquitous power found in the Star Wars universe. The group shouted "May the Force be with you always" prior to the photo being taken. 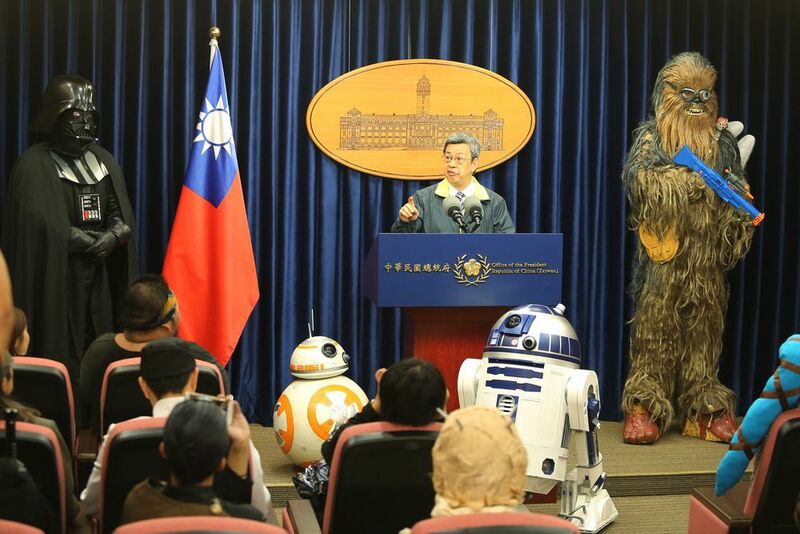 A visitor (second left) dressed as Princess Leia in the iconic gold bikini costume from the Star Wars film Return of the Jedi poses for the cameras in front of the Presidential Office. 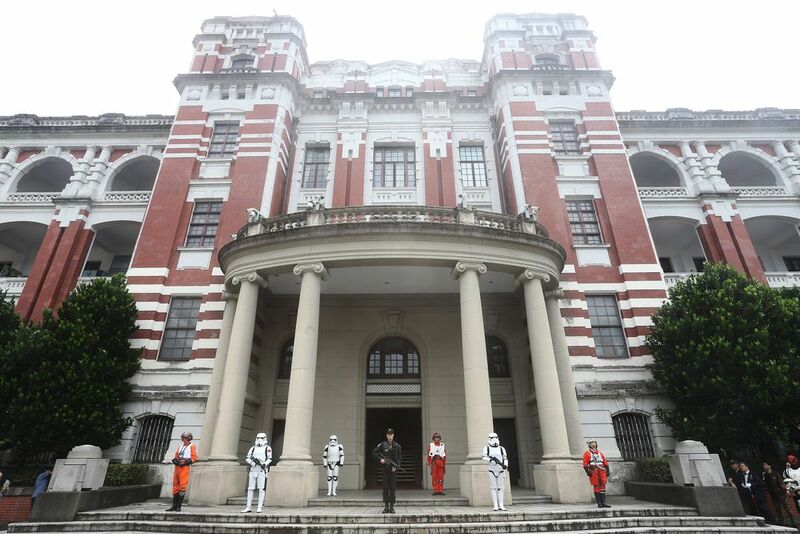 Stormtroopers and rebel pilots put their rivalry to the side to join a member of the military police (center) in standing guard at the Presidential Office. Troops of the Galactic Empire march shoulder to shoulder with pilots of the Rebel Alliance to patrol the grounds of the Presidential Office. 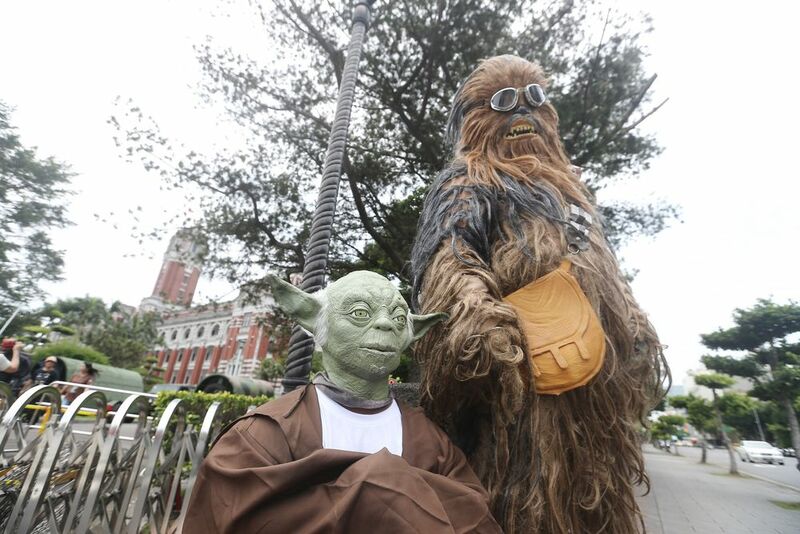 Jedi Master Yoda (left) and Wookie warrior and smuggler Chewbacca pose outside the Presidential Office. 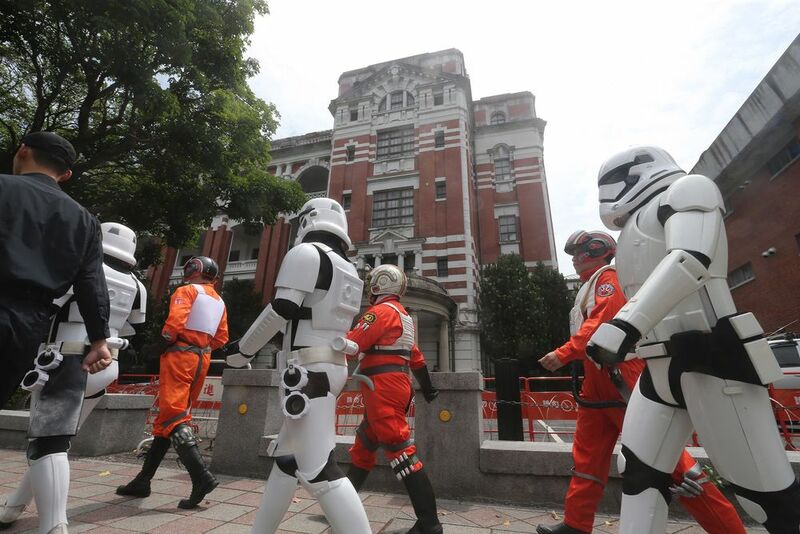 The event was the latest in a series of outings organized for Star Wars fans on May 4 that have also taken them to Taipei's Living Mall, National Chiang Kai-shek Memorial Hall and Huashan 1914 Creative Park.